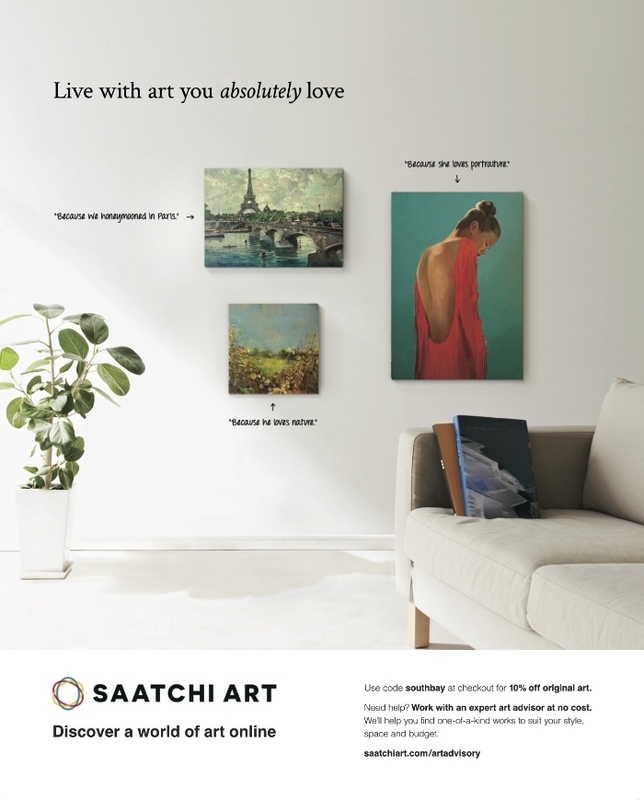 Saatchi Art, the world's leading online art gallery, required two full-page magazine ads targeting homeowners in an affluent neighborhood. 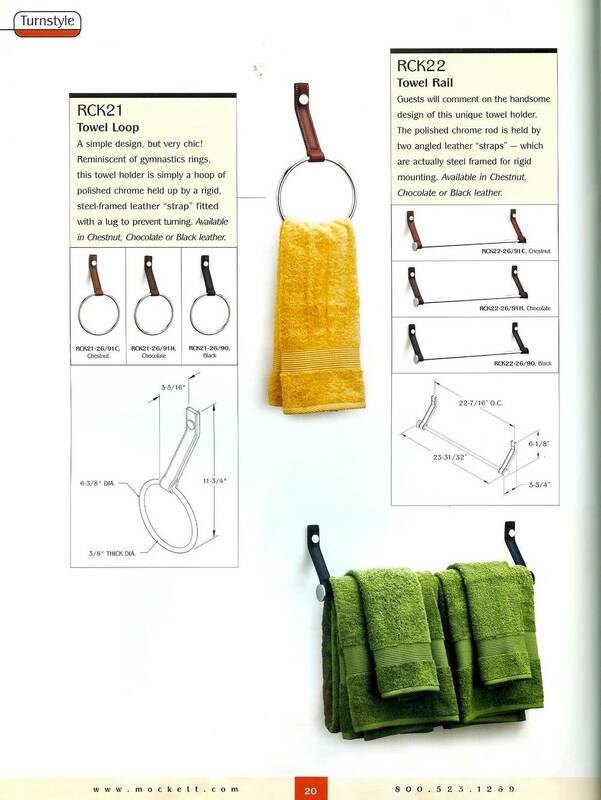 Their primary goal for Ad #1 was to encourage homeowners to use Saatchi Art's personalized Art Advisory services. My concept: "personalize your home through artwork." Each painting calls out specific reasons why it was chosen for the home, illustrating that artwork can be highly personal/biographical as well as decorative. Ad #2 targeted those who may not necessarily know much about art, yet may be interested in beautifying their homes with original works. I suggested a simple yet visually-arresting concept: "your home before and after art." Penn State TicketExchange wanted ads that served a dual purpose: 1) to encourage college basketball fans to opt for the live experience over watching/listening to the game via TV/radio and 2) to let people know that there was a safer way than eBay, Craigslist, etc. to buy and sell tickets to games. The message I used was simple: your attendance at the game makes a huge difference to both you and your team. The copy also introduced the school's official TicketExchange service to those who may not have known about it. When Ticketmaster rolled out their website's "Post A Review" feature, they needed a way to spread the word. I was given the job of creating targeted emails encouraging past ticket buyers to post reviews of the event they attended. I wrote three emails, one genre-specific and one generic, encouraging fans to "voice their thoughts" by posting an event review on Ticketmaster.com. 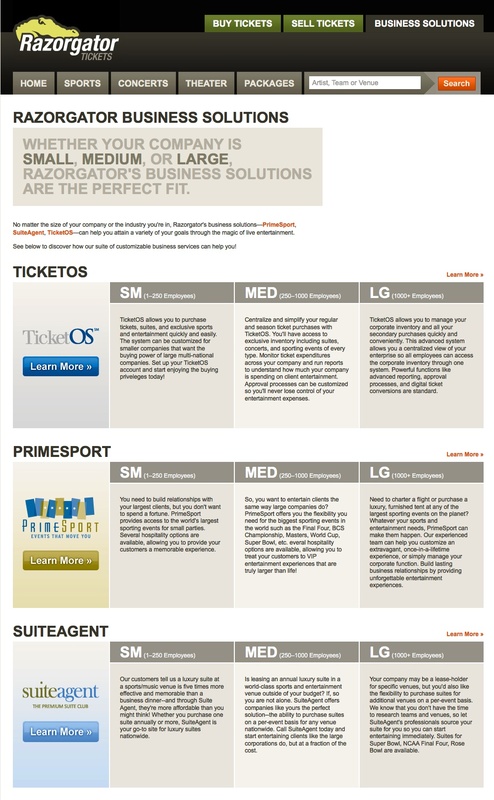 Each email was tailored, both in tone and design, to the type of event attended (e.g. pop & rock; musical theater; etc.). Introduce businesses to Razorgator's suite of live entertainment service products while showcasing the numerous benefits of each service. Above all, they wanted to stress how live entertainment packages are a good/affordable investment for businesses of all sizes. The final concept communicates that Razorgator's versatile, tailored services guaranteed a "perfect fit" for companies of all sizes -- Small, Medium, Or Large.